If Apple has the iPhone 6 all set for launch, Samsung also has something new to offer to Android users very soon. 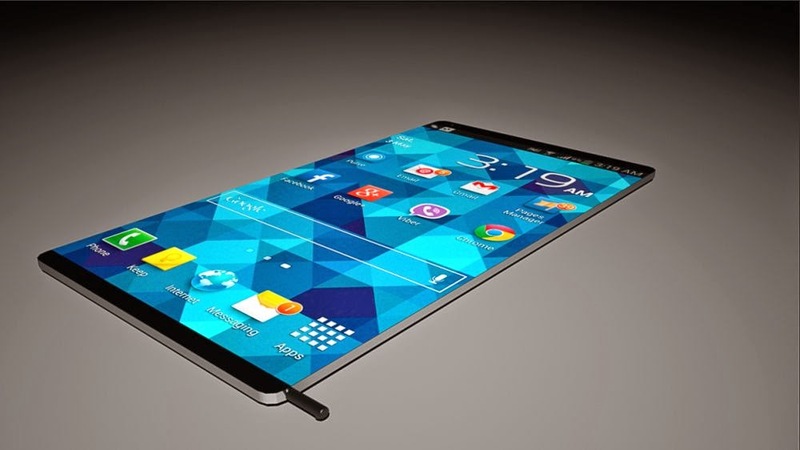 Concept image on the Galaxy Note 4 curved screen technology. Samsung Galaxy Note 4, the latest entrant to the Galaxy Note flagship, is expected to be officially unveiled during the IFA Consumer Electronics Unlimited event this September, according to the latest news from the Korean Times. "an executive of a Samsung partner' as having said: Samsung will unveil the Galaxy Note 4 phablet, UHD OLED TVs, a Google Glass rival, and home appliances at the upcoming IFA. The Note 4 will have two versions - one with a curved OLED display for niche markets and the other a flat OLED display for mass marketing." Prior to this, Senior Vice President of Samsung's product strategy team, Yoon Han-kil, has told Reuters about the firm's plan about releasing a new Galaxy Note device with a "new form factor" in the second half of this year. Speculations on the Galaxy Note 4 handset then promptly spread. What to expect from the new Galaxy Note 4, when it arrives? As long been rumored, the new Note handset will possibly use a curved screen technology. This design speculation has been backed by a pertinent image leaked by TK Tech News, along with the major features the new Galaxy device will showcase to its users. While many experts predict that the Galaxy Note 4 will continue the Galaxy Note series trend with even bigger screen, at around 5.9 - 6 inches, SamMobile has reported that the new Note device will come with a 5.7-inch screen, as listed on Indian import tracking site Zuba. Another leaked specs on the device from Eraphone also said it will include a 5.7-inch size and a Quad HD resolution that is similar to that of the LG G3's 1440 x 2560. Both standard- and curved-screen versions will also be available, according to The Korean Times. If reports on the Galaxy Note 4 to come in the same color options as the Galaxy S5, then it will be available in Electric Blue, Copper Gold, Charcoal Black and Shimmery White variants. As for its pricing, leaked information has also been disclosed by Eraphone, saying the new Galaxy Note 4 would likely cost around IDR 9,499,000 (£487). Apparently, we've got lots of interesting things to look forward to this September.